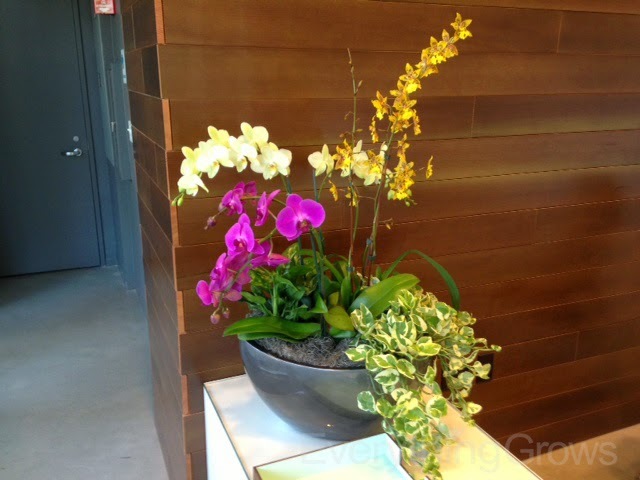 Orchids bowls are a great way to welcome guests into an lobby, office or lounge area. Unique in their own way, they catch the eye with their poise and delicate features. Be careful not to touch the pedals as they are delicate and the oils will harm your plant. 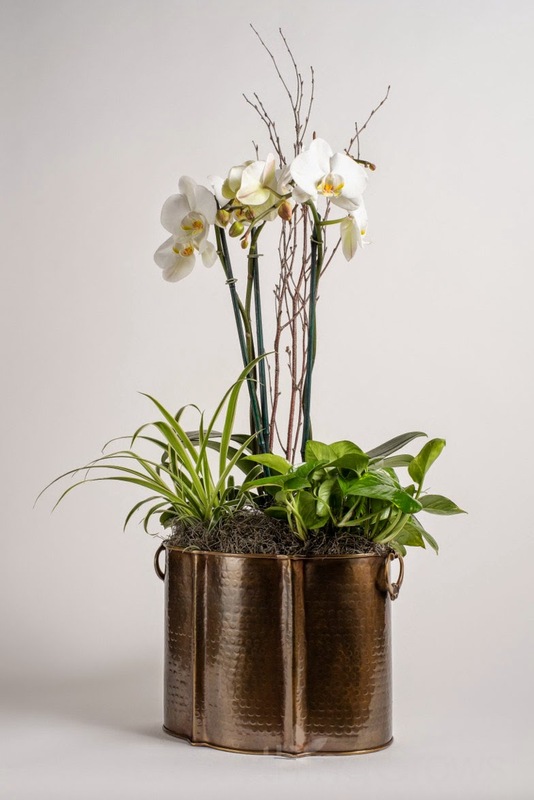 Orchids are undoubtedly the most elegant and beautiful plant Everything Grows have to offer. The family Orchidacea is home to more than 25,000 flower species. Scientists suspect that there are more species in the topical areas of the world, and horticulturalists hybridize the flower to create new species that wouldn't occur in nature, and giving rise to some of the most popular varieties of the plant in existence. While orchids are commonly thought to be tropical plants, you can find orchids growing on every continent…except Antarctica. 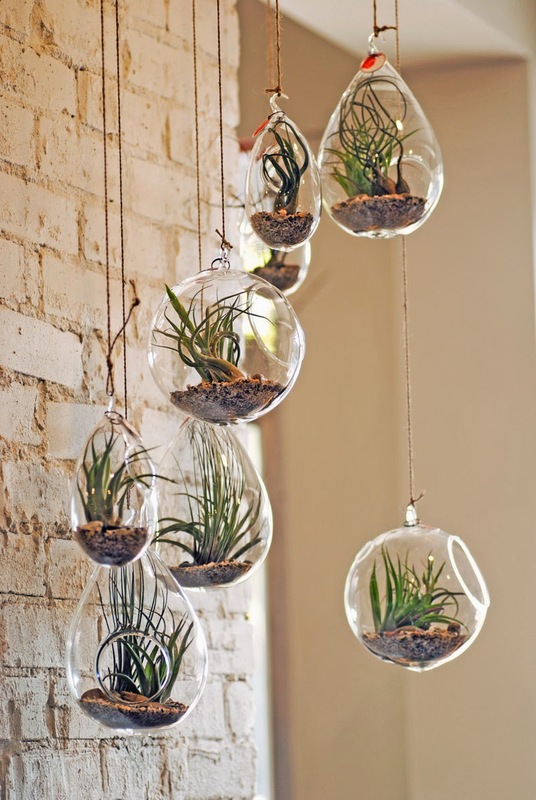 Live air plants are all the rage at Everything Grows. 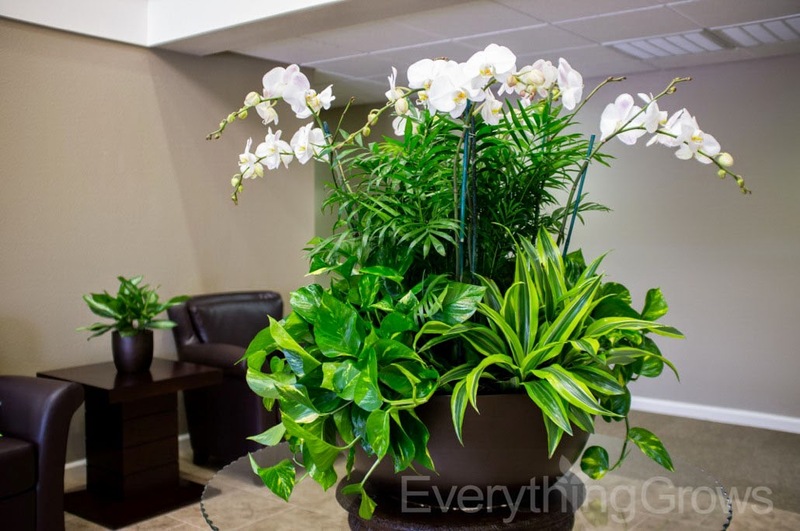 Available year round but a great add with spring coming, these easy to care for plants will be the cherry on the cake to your office, business or reception area. Air Plants or Tillandsias come from the Bromeliad family of tropical flowering plants which is also kin to the Pineapple! Bursting with color and life they come in different shapes and sizes. Native to forests, mountains and deserts these beauties can adapt to almost any climate but need good lighting and some humidity and stay nurtured. 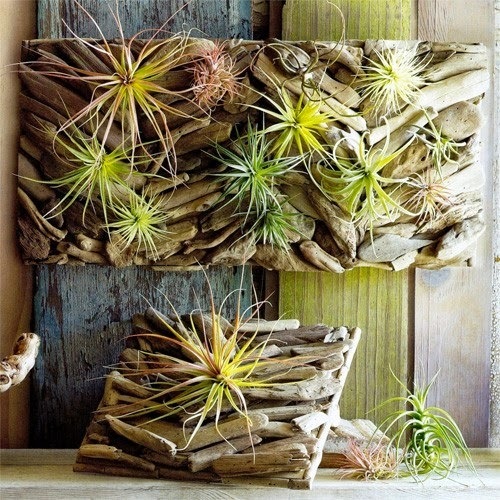 Air Plants are great plants for visual effect but also easy to care for. 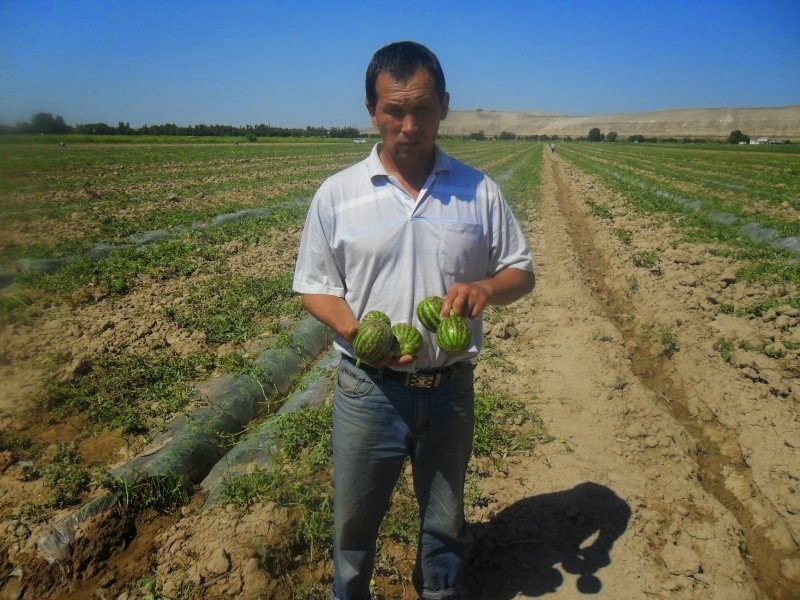 They do not need to be planted in soil, and a spritz or two of water per week keep it moist and healthy. Typically seen in a hanging bubble type glass, Tillandsia's are also great mounted or sitting as the perfect desk accessory. Like any plant, these little power houses can clean 90% of the toxins in the air around you leaving your environment clean and fresh. Evolutionary biologist Christopher Muir has seen plenty of unusual vegetation while exploring tropical rainforests, from a foot-long flower to a plant that uses ants to protect itself. But it was in a hallway near his office at the University of the Balearic Islands in Spain that he spied something truly memorable: a holey houseplant, Monstera deliciosa, also known as the Swiss cheese plant for the large holes that punctuate its leaves. The plant immediately struck Muir (a distant relative of famed naturalist John Muir) as odd because plants need to maximize surface area to absorb as much sunlight as possible. 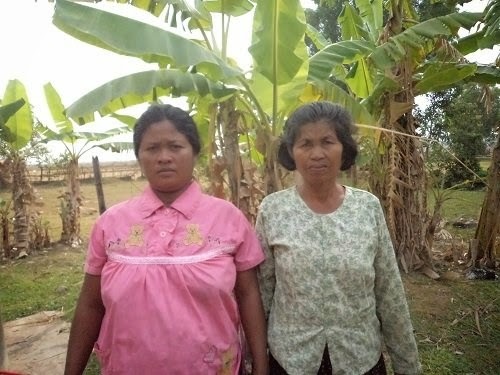 They can do this by either having lots of small leaves, or fewer large ones. Why, Muir wondered, would this large-leafed plant punch windows in its foliage? Searching for a plausible evolutionary explanation, he considered where the plant naturally grows: in thick tropical forests, clinging to the trunks of trees about midway between ground and canopy. 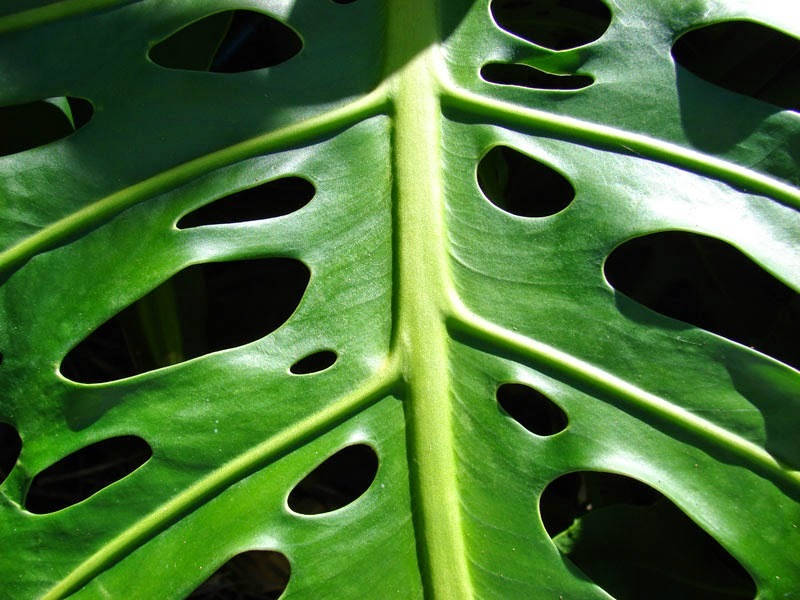 Might the holes somehow help Monstera capture the sparse, dappled sunlight that filters down through the thick trees? Muir proposed to solve the puzzle by creating a mathematical model that captures the relationship between a leaf's shape, size and ability to intercept stray glints of sunlight that filter through the canopy. He saw that surface area wasn't everything: By extending a leaf's overall size while keeping living, energy-greedy matter to a minimum, the plant increases the odds that at least some of the splotchy sunlight will strike each leaf. It's a smart strategy. "If you have some resources you're going to allocate to make a leaf, you can make it smaller but completely filled in, or make windows and take up a larger area," Muir says. "If light is relatively random, it makes sense to spread the leaf area you have ... to give you more chances to intercept those sun flecks.